Since being founded by D.R. Bryan in 1984, Bryan Properties has developed over a dozen new neighborhoods, resulting in a total of over 5,000 single-family homes, 600 multi-family homes, and about 350,000 square feet of commercial space. One of the largest residential developers in North Carolina over the last 30 years, our firm has built new neighborhoods primarily in the Charlotte, Research Triangle, and Triad metropolitan areas. Bryan Properties has garnered numerous awards over the years, including being named twice as Developer of the Year in the Triangle area, as well as winning the same award for the Charlotte market. Recently, Bryan Properties was named Business Conservationist of the Year by the North Carolina Wildlife Federation. Our neighborhoods have been recognized and featured in several national publications, including Better Homes and Gardens, US News and World Report, Builder, Consumer Reports, and Time magazines. 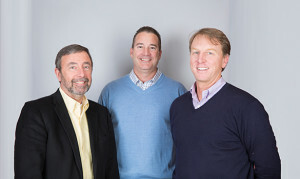 The three principals in our firm are all native North Carolinians who have worked together for more than 20 years. D.R. Bryan is a native of Rocky Mount with an undergraduate degree from East Carolina and a law degree from Wake Forest. John Coley is also from Rocky Mount and is a Stanford University graduate. Jim Earnhardt is a Raleigh native and has undergraduate and graduate degrees from UNC-Chapel Hill. The principals are joined by a dedicated group of professionals in accounting, sales and marketing, and property management, as well as partner firms who specialize in planning and engineering who all share a commitment to developing enduring places that enhance the quality of life for the residents who choose to live there. Bryan Properties is unique in that we are engaged in all aspects of the residential land development and sales process—starting with the selection and acquisition of well-located land parcels, handling of local government and other regulatory approvals and entitlements, design and installation of horizontal infrastructure (street network, water and sewer systems) and recreational amenities, selection and management of award-winning homebuilders, and sales and marketing of new homes in our neighborhoods. We are also involved in commercial property management and leasing for properties we have developed in Chapel Hill.